Assessing the Family Caregiver is a relatively new but crucial concept for geriatric care managers and professionals in aging.As geriatric care managers and aging professional, we are health and social services oriented. For almost 3 decades we have assessed the care receiver for problems with function, social connection, and psychological issues. If we suspect depression we have completed that screen. If our client plans to move, has cultural needs and preferences, exhibits signs of dementia, need ways to improve quality of life or a spiritual connection, we have assessed the care receiver for those problems. All our assessments have left out the major fact – care is an exchange. To receive care, the patient/client usually needs a family caregiver to give or supervise it. That family caregiver is the glue that holds it all together and his or her inner bond begins to break with the strain of caring. Other countries have seen what the US has yet to grasp. In the United Kingdom, a seminal law passed in 1995 called the Recognition and Services Act , which provided British caregivers a statutory right to request an assessment at the same time that a frail elder or adult with disabilities is assessed. So developing a caregiver assessment is critical, especially in this era of penalties to hospitals for readmission. The caregiver is the key to keeping an older person in the community and not back in the hospital. If they are not trained, have physical problems that inhibit caring, find some tasks, like changing adult diapers uncomfortable, have no car to pick up meds or drive to the doctor’s follow-up an appointment, you have a problem and probably a readmission. Learn how to do a caregiver assessment along with a care receiver assessment.This will help you keep your aging client both out of the hospital and potentially out of inappropriate placement in a skilled nursing facility. Plus you will learn just not how to assess caregiver burnout but be able to create a care plan that will help your family caregiver have a better quality of life while they giver better care to their loved one. 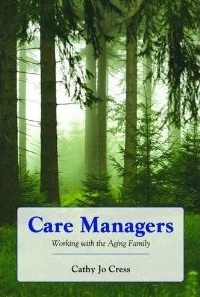 Read the chapter ” Assessing the Caregiver ” in my book Care Manager’s Working With the Aging Family, Jones and Bartlett. The price has just been cut in half to make it more affordable for the practitioner. Assessing the Family Caregiver is a new but crucial concept for geriatric care managers and professionals in aging.As geriatric care managers and aging professional, we are health and social services oriented. For almost 3 decades we have assessed the care receiver for problems with function, social connection, and psychological issues. If we suspect depression we have completed that screen. If our client plans to move, has cultural needs and preferences, exhibits signs of dementia, need ways to improve quality of life or a spiritual connection, we have assessed the care receiver for those problems. So developing a caregiver assessment is critical, especially in this era of penalties to hospitals for readmission. The caregiver is the key to keeping an older person in the community and not back in the hospital. If they are not trained, have physical problems that inhibit caring, find some tasks, like changing adult diapers uncomfortable, have no car to pick up meds or drive to the doctor’s follow up an appointment, you have a problem and probably a readmission. Learn how to do a caregiver assessment along with a care receiver assessment .This will help you keep your aging client both out of the hospital and potentially out of inappropriate placement in a skilled nursing facility. Plus you will learn just not how to assess caregiver burnout but be able to create a care plan that will help your family caregiver have a better quality of life while they giver better care to their loved one. 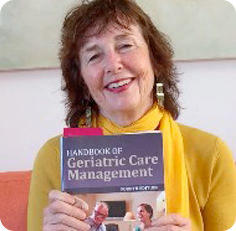 Read the chapter ” Assessing the Caregiver ” in my book Care Manager’s Working With the Aging Family, Jones and Bartlett. The price has just been cut in half to make it more affordable for the practitioner.